J.D. Watson & Associates (our firm) was founded on principles of trust, integrity. Our firm is committed to customer satisfaction and maintaining your privacy. This is accomplished by a range of business procedures and security safeguards both physical and virtual to ensure that your personal information is kept confidential, safe and secure. It will only be used in accordance with in connection with the preparation of your tax return(s) or to provide other products or services that you have requested. personal information that you enter on an income tax form, including your name, address, social insurance number, and other identifying and contact information, in addition to your tax and financial information, and your e-mail address; information from applications, forms, surveys, and in connection with polls or contests, including your name, address and e-mail address; and information for billing and payment purposes, including credit or debit card information, such as card numbers and card expiration date. We collect only what is necessary. We limit the collection of personal information to that which is necessary to fulfill the purposes identified at the time of collection. The personal information that we collect depends on the product or services that you have requested and on legal and regulatory requirements. We collect person 1 information about you so that we can effectively provide the services and products to you that you have requested, establish your identity, manage our operations, understand your needs and preferences, market our products and services and comply with legal and regulatory requirements. We may obtain your express consent in writing, through electronic means, or verbally. Your consent may also be implied by an action that you have taken. You can always refuse or withdraw your consent to the collection, use or disclosure of your personal information. Doing so may, in some cases, mean that we will be unable to provide you with the product or service that you have requested. If you wish to withdraw your consent to the collection, use or disclosure of your personal information (unless it is required to provide you with the services you have requested or to provide you with necessary information relating to your accounts with us or as required by law) please contact us at 1-855-774-1268. We may also use your personal information to enable us to understand your needs and preferences and then to alert you by mail, or phone or e-mail to current and future product offerings, and to tailor marketing material to your specific needs. You may choose not to receive these materials at any time by contacting us at the contact information noted. By doing so, you are indicating that you do not want to receive such information. J.D. Watson & Associates will, however, continue to provide you with necessary account information and your yearly tax reminder notice. to outside suppliers employed or retained by our firm to perform certain services or functions on our behalf, including billing, processing of credit and debit card transactions, mailing and data processing, shredding and storage, bookkeeping, HST filing and collection or research services. We select our outside suppliers carefully and insist that they have privacy and security standards that meet our strict requirements. We provide to these suppliers only the personal information required for them to perform the services or functions for which they have been engaged. We require them to retain any personal information in strictest confidence and we restrict their use of your personal information to what is necessary to act on our behalf; and in the event of a sale or transfer of our business or assets. 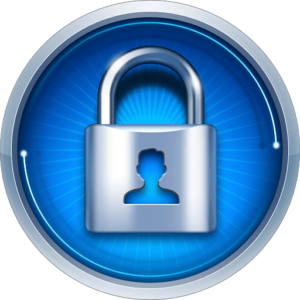 We protect person information by security safeguards appropriate to the sensitivity of the information. We restrict internal physical and electronic access to personal information to those who need to access it in order to serve you and maintain policies and procedures designed to restrict access (by external parties) to your personal information in several ways. For both internal and external parties, access controls include programs and specifications for physical security, records retention and disposal, computer and communication security measures reflected in system design, password protection, data management practices, and other measures to restrict access to the information we hold in physical and electronic forms. We only retain personal information for as long as necessary or required for the purposes for which it was collected or as required by law. Personal information that is no longer necessary or required will be destroyed, erased or made anonymous. It is important that the personal information we have is accurate, complete and up to date. To this end, you are encouraged to inform us when there are any changes to your information. You may also, at any time, contact our firm to request access to your personal information, verify its accuracy and, if required, correct it. In addition, as noted above, you can refuse to provide personal information to us and you may also at anytime, on reasonable notice to us, in person or via telephone or email, withdraw your consent to the collection, use or disclosure of any of your personal information, unless it is required to provide you with the services you have requested or to provide you with necessary information relating to your accounts with us or as required by law.